Kourtney Kardashain & Baby Mason Go for a Stroll in NYC!! Kendra Wilkinson Calls Out Mother For Leaking Stories? 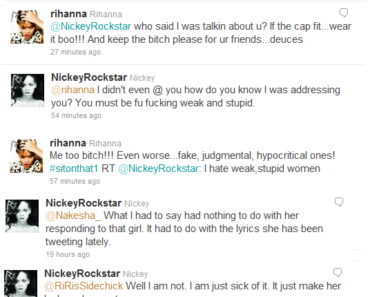 Rihanna’s Twitter Feud With Fan Gets Nasty! Naya Rivera Confirms Feud With Lea Michele? ‘Basketball Wives’ Evelyn Lozada Wants a Pay Raise or She’s Quitting the Show!